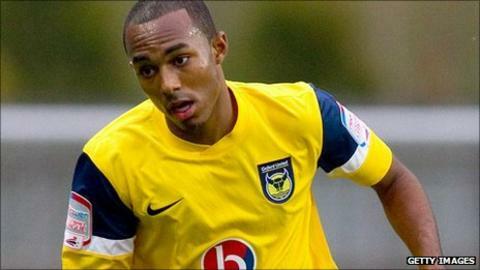 West Ham striker Robert Hall has returned to Oxford on a month-long loan, with a view to a longer stay. Hall, 18, scored six goals in 10 games for the U's, with just one defeat, but they have lost all three matches since West Ham recalled him on 31 October. The Hammers wanted him back to cover for injuries but he never featured. "We are delighted to have Robbie back. Speaking to him, he is just as excited as we are which speaks volumes for the set-up here," said boss Chris Wilder. Since leaving the U's, Hall has appeared on the bench for the Hammers and scored the winner for England Under-19s against Denmark. Hall will return to the squad on Thursday. "He was part of a settled side which went on a great run and we were disappointed to lose him, but could see the opportunity he had to be involved with the first team at West Ham," added Wilder. "We are really pleased to see him back and hope that he will carry on where he left off, playing a part in a winning side."